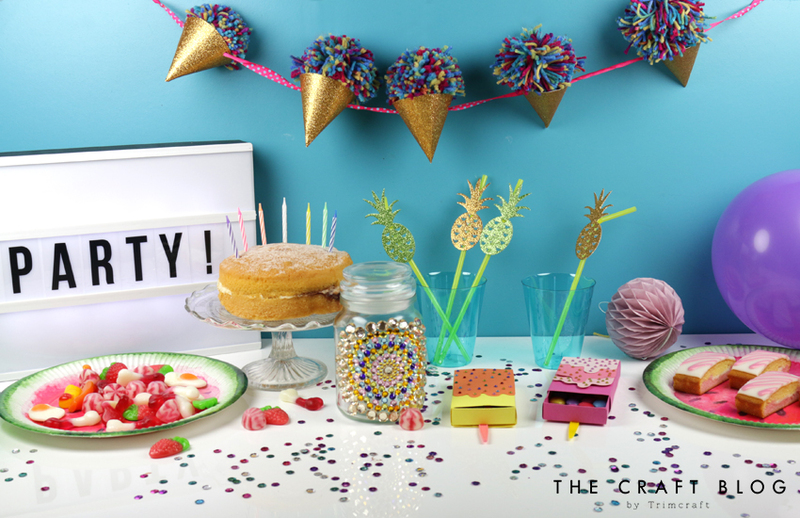 In this week's tutorial it is all about getting your party on! We have put together a few crafty ideas for you to use for your own sunny celebration! For our step by step tutorial, she is going to show you how to surprise your guests with an adorable ice lolly gift box ready to fill with your chosen treats. 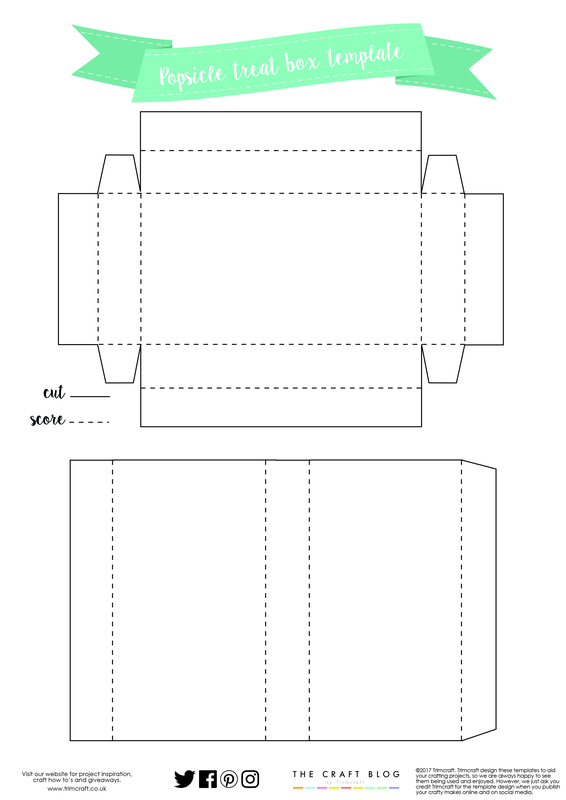 We know planning for parties is a big job so we have thrown in a free template to make this craft even easier to create! 1. Download, print and cut out our free template. 2. Draw around it on your chosen coloured sheet from the Dovecraft A4 Coloured Card Stock pack. Score and cut where shown. 3. Use Dovecraft Perma Fix to adhere the pieces together. 4. Adhere a lolly pop stick to the inside of your box to give it the ice lolly look! 5. Decorate the front of your ice lolly gift box with different coloured card to look like different flavours and Simply Creative gems for sprinkles! Give it a curvy line to make it look like it’s melting! Adhere these coloured sections to the front of you box. This gift box has summer written all over it and will make a fantastic keepsake for them to remember their fun time in the sun! Every party needs bunting, are we right? Angel has created the sweetest ice cream bunting by threading Dovecraft glitter card cones on to a length of Dovecraft Ribbon. Pom poms are crazy trendy at the moment so Angel has used the We R Memory Keepers Pom Pom tool to top each cone with a fuzzy ice cream ball. One of the best things we love about Summer is how long it stays bright outside but if it gets a little difficult to find your way around your garden at 10pm, why not upcycle an old coffee or candle jar to create a little light? Simply decorate the front with your chosen Simply Creative gems, pop in a tea light candle and light up your path or create the prettiest table centre piece! Drink in style with these super cute pineappple straws! Use the First Edition Pineapple die with Dovecraft A4 Glitter card to acheive this look! Which is your favourite party decoration? We’d love to see your versions so don’t forget to share your makes in the Inspiration area and to #trimcraft when uploading to social media.